Breaking down applications into smaller modules is a common way for software developers to cope with the increasing complexity of their projects. A common barrier to this endeavor is the presence of crosscutting concerns that prevent reusability and reduce comprehensibility. The promise of AOP (Aspect-Oriented Programming) is that, by using it, developers will be able to organize these crosscutting concerns into their own units of modularity. However, AOP does not tackle the problem of having tangled automatic tests. 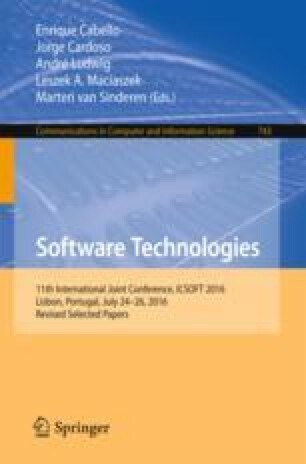 This paper presents a technique using incremental testing and invasive aspects to modify and adapt tests, enabling the development of unit tests that are free of crosscutting concerns and thus easier to reuse. Using a medium scale project, we will show that without using this technique, due to the presence of invasive aspects, some unit tests would have to be discarded or modified to accommodate the changes made by them. We would like to thank FCT for the support provided through scholarship SFRH/BD/32730/2006.